So, what's to this Smiley guy? Namely, his sense of humor. Rickey takes everyday situations and turns them into everyday humor. He does it, of course, with the help of a few good friends. 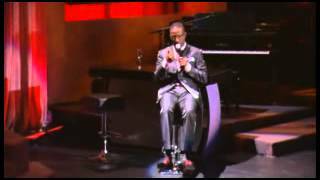 There are an array of characters from the mind of Rickey Smiley that will leave you in stitches. Rickey's television appearances include Showtime at the Apollo, HBO's Def Comedy Jam, HBO's Snaps, The Nashville Network, Uptown Comedy Club, Comic Escape and BET's Comic View, where he has gone on to compete in a Comic View Grandstand.